Divine Healing comes from the infinite unbounded source of Creation. This is the highest level available to mankind. This Divine energy is without judgment or limitation and always comes from a place of Divine Love. To initiate Divine Healing you must connect with infinite Divine energy. The great Beings of the universe who know they are infinite and whole are the only ones capable of providing true Divine Healing. This kind of healing not only heals the ailment; it brings your whole system into alignment with the life force of the Creator. Wonderful transformations take place as a by-product of Divine Healing. Give yourself the gift of Divine Healing. This course opens to Self Discovery and Powerful Healing!! 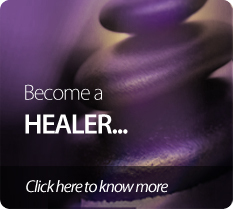 All kinds of Healing Practitioners and Spiritual Quest Beings benefits this course. Holistic Hypnotherapy is an efficient, exciting and enlightening tool for personal and spiritual growth. By pinpointing and understanding the source of the obstacles that prevent you from living life fully, you can transform them with Hypnosis. This method of opening to your full potential allows you to discover unexpected ways to experience this reality and to connect with your soul's purpose in every aspect of your life. Holistic Hypnotherapy goes far beyond the traditional forms of hypnosis and hypnotherapy. Lasting results are experienced by gently releasing and resolving the subconscious cause of an issue or problem in gentle, yet powerful and direct ways. Furthermore, Holistic Hypnotherapy works with the mind, body and emotions to bring one's whole self into the life change and healing process. Holistic Hypnotherapy is capable, in most cases, of producing lifelong results in a mere fraction of the time normally required by traditional therapy or counseling methods. Holistic Hypnotherapy is an empowering way to experience positive change. Holistic Hypnotherapy does not exclusively focus on isolating, solving and fixing a person and their problem. Therapy takes place during a session, and the approach goes beyond the "problem-identification mindset" that so often keeps people from experiencing the very results they would like to experience in their life! Holistic Hypnotherapy incorporates therapy as part of a larger whole that supports empowerment, inner healing, lasting change and transformation. No matter what you are dealing with in your life, there is much more to you than the problem or issue at hand. Holistic Hypnotherapy can gently, compassionately and effectively move you beyond self-limiting blocks, old beliefs, unhealthy behavior patterns and limiting perceptions that keep you from realizing your potential to positively heal, change and transform yourself and your life. Holistic Hypnotherapy provides you an empowering way to work with your mind, body and emotions to experience positive, healthy and lasting results. There are 5 LEVELS for the this Course! Students learn about the history of Reiki, principles and applications of Reiki in healing self and others. In First degree a series of attunements are given by a Reiki Master. In this process with three powerful meditations certain energy centers also known as ‘chakras’ is opened to enable the person to channel a higher amount of universal life force energy. After the process of attunement one can lay his/her hands on self or another person and transfer Reiki to help the healing process. This is the most important attunement in Reiki since this is when a student is initiated into Reiki for the first time. The course includes detailed hands on practice. On completion you will receive certificate, Reiki level 1 notes and a meditation CD. Reiki is a simple, natural and safe method of spiritual healing and self-improvement that everyone can use. It has been effective in helping virtually every known illness and malady and always creates a beneficial effect. It also works in conjunction with all other medical or therapeutic techniques to relieve side effects and promote recovery. In Reiki level II, students expand upon their learning and skills acquired during the previous level. Most importantly, students further their understandingof energy and how to utilize Reiki for those at a distance. This is often called absentee healing or healing by proxy. In other words, students are introduced to the concept of distance healing. As part of the training they practice sending Reiki to a friend or relative at a distance. Theyare taught the three sacred Reiki II symbols, in terms of how to use them to augment healing therapy. Reiki II symbols are powerful and they will learn to use them and apply them productively and effectively during Reiki II training. Students are also given a much more in-depth overview of all of the Chakras. The attunements related to Reiki II are powerful and wonderful to experience. Pre-requisite: Students should have completed Reiki level I with at least 21 days practice. This class introduces the basics of ThetaHealing and teaches one to use natural intuitive senses to access "theta" in a matter of seconds. The heart of this class focuses on techniques that allow one to change life patterns held in place by core, genetic, historic and soul beliefs, either self inflicted or externally imposed. •	The Seven Planes of Existence. Upon completion, your will become a qualified practitioner of ThetaHealing and will receive Vianna Stibal's latest book ThetaHealing, and a designated practitioner's manual from the THINK Institute. This certification course helps you to radiate skin, body and soul. This beauty course does not use chemicals; but Divine energy to invoke beauty. The Practitioner can deal with emotional, physical and mental aspects. Aroma Therapy maintains balance and harmony of body and mind. Dry skin, acne, cellulite, wrinkles, dark circles, dark spots, thinning hair can be completely healed with Aroma and Organic Therapy. Reveal the Inner Beauty!! In universal term Vastu is a set of cosmic and earthy energies for health, wealth, peace and prosperity, required for all the inmates living in the abode. Vastu Shastra is a derivative form of Vastva which stands for providing shelter. Vastu Shastra in terms of biology speaks of gaining a number of positive vibes in the house. Vastu is the combination of five positive elements called “Panch Mahabhuta”. Vastu encompasses the techniques to decide directions, placement and positioning of various aspects related to building. Any shelter such as home, commercial or residential establishment built on the guideline of Vastu Shastra is certainly blessed the health, wealth, prosperity and happiness. • Introduction to FIVE elements. • Introduction to EIGHT major directions. • Planets, colors, Dieties of all EIGHT directions. • Each direction benefits and its ill effects. Cosmic Healing Centre doesn't have any affiliations and branches in U.A.E.